Eek! I’m late! I couldn’t decide who to feature last night and then got decided during nap time. So I pulled this info from my old blog which I had never gotten around to putting up here. You’ve heard of “my brother from another mother,” right? Well, this is about brothers from the same mother with the same name!! I thought I’d mention John FitzWilliam today. I mean the one that’s the son of Sir John FitzWilliam of Sprotborough, 11th removed from the first Sir William FitzWilliam of Sprotborough. What’s that? You still aren’t sure which one I mean? Exactly. In a family with many William FitzWilliam’s what on earth can be the reason to have two sons named John?!! Sir John Fitzwilliam of Sprotborough (1377-1417) m. Eleanor Greene. 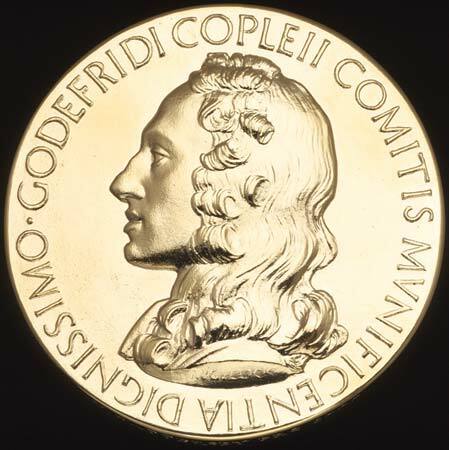 The Copley Medal named after Sir Godfrey Copley, 2nd baronet (c. 1653-1709). No, this is not a case of the elder son dying and the family recycling the name. 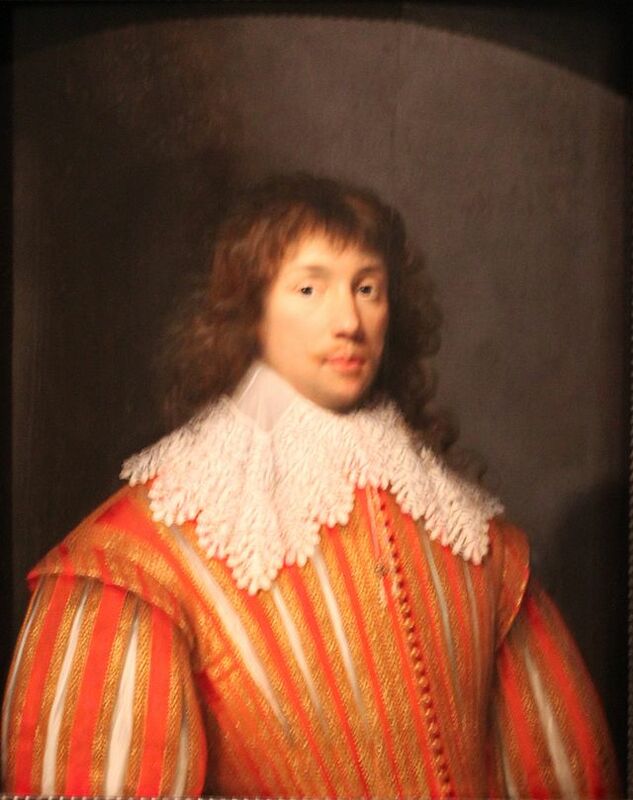 Sir John Fitzwilliam (by the way, he would be the fourth with the name) lived, married and had issue. His line continued until his great-granddaughter, Dorothy FitzWilliam (her brothers all died without issue), passed on the Sprotborough estate to her eldest son, Philip Copley. It continued in his line until Sir William Joseph Copley, 4th Baronet deceased in 1883 without issue. 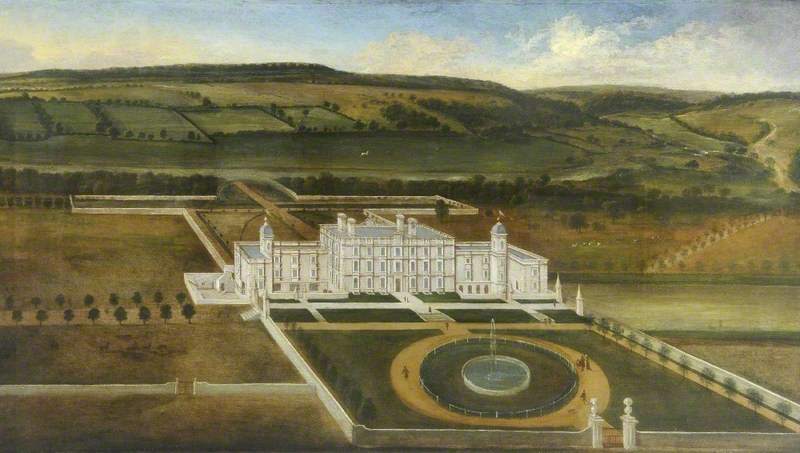 According to Wikipedia, Sprotbrough Hall (notice the spelling change as the years went on) was demolished in the 1920s. You can read more about Sprotbrough Hall here. Interesting enough, the Fitzwilliam earls descend from John FitzWilliam of Green’s Norton. He did not carry a title, but his son (another) William FitzWilliam did. According to Collins’s Peerage of England, William FitzWilliam was in service to Cardinal Thomas Wolsey (who was accused of slowing the proceedings of Henry VIII’s divorce from Catherine of Aragon and later accused of treason before dying on the journey to his trial) and entertained him at his home in Milton after the Cardinal’s disgrace. When FitzWilliam was questioned by the king how he could entertain ‘so great an enemy of the state,’ FitzWilliam replied that it was not done out of willful disobedience to the king, but rather because the Cardinal had been his master and partly the means of his greatest fortunes. This pleased Henry VIII, who after saying he had so few dutiful servants knighted FitzWilliam and made him a member of the Privy Council. 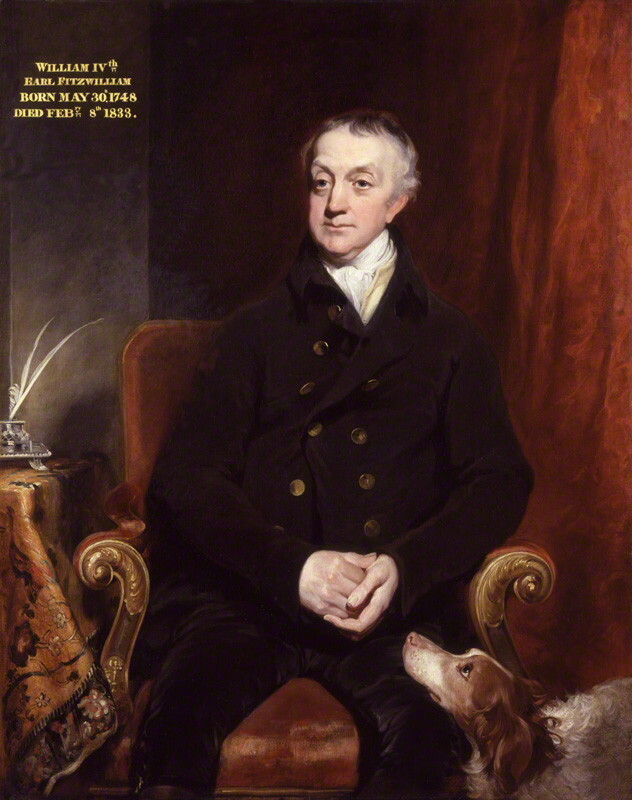 William, 4th Earl Fitzwilliam of Ireland and 2nd Earl Fitzwilliam of Great Britain (1748-1833). He was the Earl Fitzwilliam alive during Jane Austen’s lifetime and possible inspiration for Fitzwilliam Darcy’s uncle.